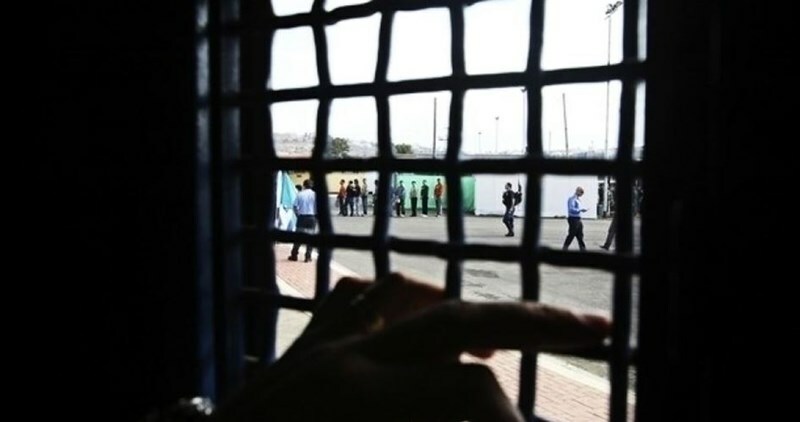 A Palestinian prisoner was transferred to the hospital on Monday over his severely deteriorating health following 44 days on hunger strike to protest his administrative detention -- internment without trial or charges. 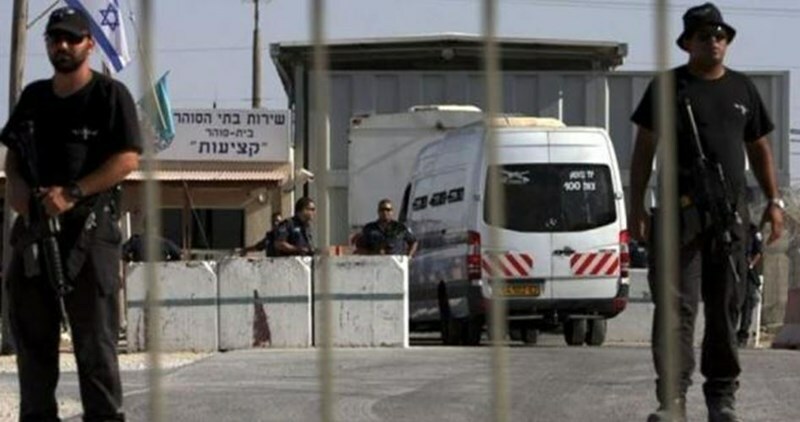 The Palestinian Prisoner's Society said that Adib Mafarja was moved from the Eshel prison in southern Israel to the Soroka hospital in Beersheba, following a visit by a lawyer from the Palestinian organization. The lawyer reported that Mafarja had already lost 30 kilograms because of his hunger strike. According to Palestinian solidarity group Samidoun, Mafarja is from the village of Beit Laqiya, northwest of Ramallah in the central occupied West Bank. Mafarja is one of several Palestinian prisoners currently on hunger strike in an attempt to hold Israel accountable for its arbitrary arrest and detention of Palestinians. According to prisoners’ rights group Addameer, there are currently 700 Palestinians being held in administrative detention. Palestinian journalist Muhammad al-Qiq earlier this year came close to death during a more than 90-day strike against his detention, during which Israeli medics were accused of forcing treatment on the prisoner. The Israeli occupation police said they were able to arrest two Palestinians suspected of detonating explosive devices a few day ago at an Israeli military force near the village of Hizma, northeast of Occupied Jerusalem. 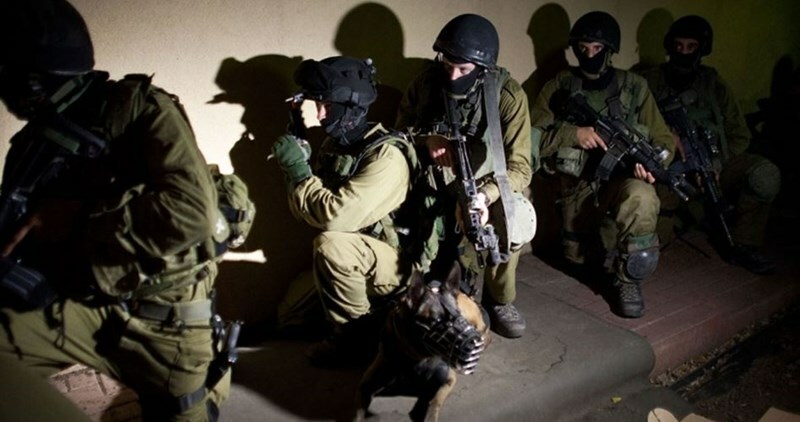 In a press release on Sunday, the police affirmed that the Palestinians were arrested in cooperation with the Shin Bet on May 11, without providing further details. One officer was badly injured and another suffered a slight injury in a bomb explosion last Tuesday in an area near the village. The two suspects were arrested by Israeli special forces on the night of the attack, but word of their arrest was under gag order. However, all other details of the investigation will remain undisclosed until the gag order is lifted. Israeli forces detained at least 17 Palestinians, including a teenage girl, from multiple districts across the occupied West Bank overnight Sunday and early Monday morning. The Palestinian Prisoner’s Society (PPS) said in a statement that six Palestinians were detained in predawn detention raids in the northern occupied West Bank district of Nablus. The statement identified the detainees as Hamza Salim al-Amoudi, Eyhab Zeid, Salah Dweikat, Hisham Jabir, 36, Salah Munthir Hijazi, 23, and Mustafa Jamal, 27. The statement added that Israeli forces detained 15-year old Fatima Afif Hajjaja on Sunday evening, at the Zaatara checkpoint south of Nablus. In the district of Ramallah in the central occupied West Bank, Israeli forces raided the town of Silwad and detained Fadi Abd al-Karim Hammad, Tariq Talib Hamid, Alaa Abd al-Rahim Otheim, and 23-year-old Abdullah Asaad Aamirah. The Israeli army spokesperson was able to confirm three of the four detentions in Silwad. PPS's statement said that Israeli forces detained Muhammad Ziad Hamamrah in the southern occupied West Bank district of Bethlehem. In the northwestern district of Qalqiliya, Israeli forces detained 23-year-old Nael Walid Dawood, PPS and the Israeli army spokesperson said. PPS also reported detentions in the northern Tubas district, where Israeli forces detained Tariq Nadir al-Kharraz, and Ahmad Muharij Daraghmeh. In the Tulkarem district, Israeli forces detained 18-year-old Mahdi Muhannad Ajaj, PPS said. The statement added that Abdullah Omar Malalha, 20, was detained in the northernmost West Bank district of Jenin. The Israeli army spokesperson confirmed that five Palestinians, in addition to those in Nablus, were detained in the northern West Bank. One of which was a suspected Hamas operative, she added. Since the start of the year Israeli forces have conducted more than 90 search and detention operations per week in the occupied West Bank, according to UN documentation. There are 7,000 Palestinians currently being held in Israeli custody, including 438 minors -- 98 of them under the age of 16 -- according to Palestinian prisoners’ rights group Addameer. The Israeli Occupation Forces (IOF) carried out at dawn Monday a large-scale raid and arrest campaign across the West Bank in coincidence with the 68th anniversary of Palestinian Nakba (catastrophe). IOF stormed in large numbers Qabatia town south of Jenin and arrested a young man before carrying out a combing operation in the area, local sources told the PIC reporter. Several houses under construction were stormed and searched for long hours during the raid, the sources added. A young man was also arrested and taken to unknown detention center after breaking into his family house. Two other neighboring towns were also stormed and searched early today. In Nablus, two ex-prisoners were arrested after Israeli forces stormed at dawn today the city and carried out a raid and search campaign. The PIC reporter affirmed that several local houses were violently stormed and searched during the raid. A third detainee was also rounded up in Nablus as Israeli forces stormed his family house east of the city and searched all the house facilities including the water tanks. 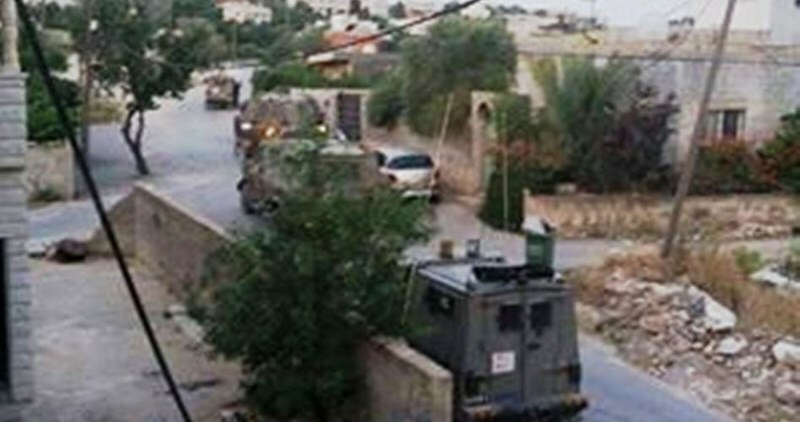 Eyewitnesses said that Israeli soldiers were deployed in large numbers throughout the city’s neighborhoods and stormed a number of local houses and buildings. Two other youths, from Nablus, were arrested at the Container checkpoint east of Bethlehem. Israeli prison guards savagely stormed, in large numbers, Section 6 of Ramon jail and assaulted Palestinian prisoners with no justification. Palestinian Detainees and Ex-detainees Committee revealed, in a press statement, that all prisoners in that section were transferred to an unknown location. Tension prevailed in all sections of the prison after this attack, the statement pointed out. 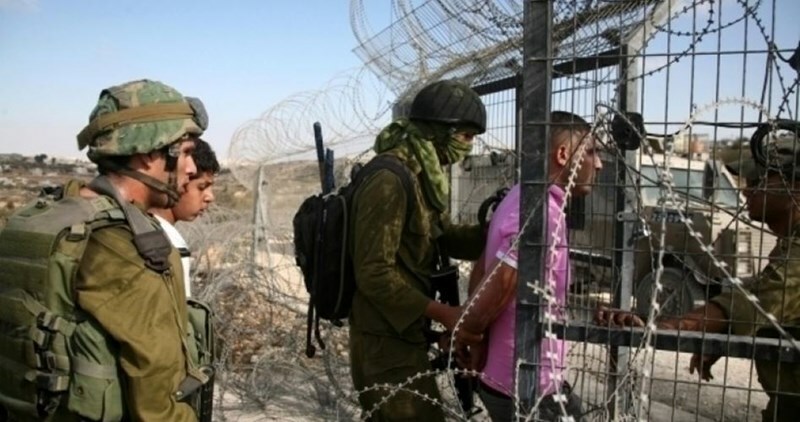 The Israeli Occupation Forces (IOF) arrested Sunday evening a Palestinian young man for allegedly holding a knife in his possession near Beitar Illit settlement illegally built west of Bethlehem to the south of occupied West Bank. According to Yediot Ahronot Hebrew newspaper, a Palestinian youngster was stopped and arrested at the entrance to Beitar Illit while trying to enter the settlement. A knife was found in his possession, the newspaper claimed, pointing out that he was immediately taken for investigation. Local sources identified the detained young man as Mohamed Hamarah from Hussan town west of Bethlehem. Earlier on Sunday, Israeli occupation soldiers arrested a Palestinian young woman for allegedly planning to carry out a stabbing attack near Nablus on Sunday afternoon. The Hebrew website NRG said that the soldiers “succeeded” in aborting a stabbing attempt by the young woman near Za’tara roadblock, south of Nablus. It added that a knife was found in the unidentified young woman’s possession. Israeli soldiers arrest any Palestinian with a knife in his possession and had even executed some of them since the Jerusalem Intifada broke out in early October last year. 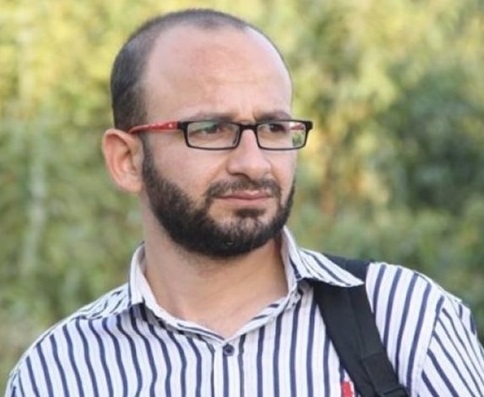 Israeli Court of Salem sentenced the Palestinian journalist Sami al-Saai, from Tulkarem, to 9 months of actual imprisonment in addition to 12 months of suspended imprisonment after charging him with incitement on Facebook. Amani al-Jundub, the wife of the captive, said that her husband denied the charge but the judge did not respond to him and endorsed the Israeli prosecution’s indictment. Israeli Occupation Forces (IOF) arrested journalist Saai, 35, right from his home in the city of Tulkarem on March, 09 after he had been investigated in the field and his home had been searched. The wife pointed out that the IOF did not allow him to bid farewell to his children; then he was chained and taken to Howarah military camp in southern Nablus. 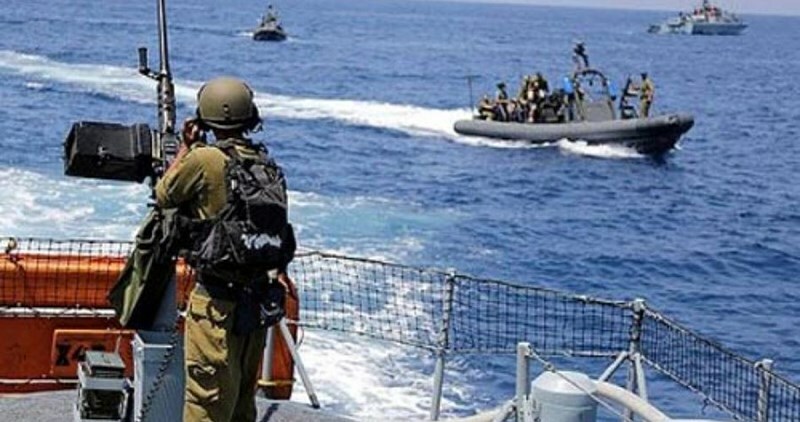 The Israeli occupation navy on Sunday evening kidnapped 10 fishermen and confiscated two fishing boats off the northern coast of the Gaza Strip. According to a local committee documenting violations against fishermen, Israeli gunboats chased two fishing boats and rounded up everyone aboard them before towing them to an undeclared place. The committee identified the detainees as Jamil Adas, Adham Ashwah, Hasan Madi, Khaled Baker, and his brothers, Khamis and Ghaleb, as well as four others from the family of Baker. In a related context, al-Mizan Center for Human Rights said that the Israeli navy has escalated its violations against Palestinian fishermen since April 3, 2016. Those violations included gunfire attacks, arrests and appropriation of fishing gear and boats. 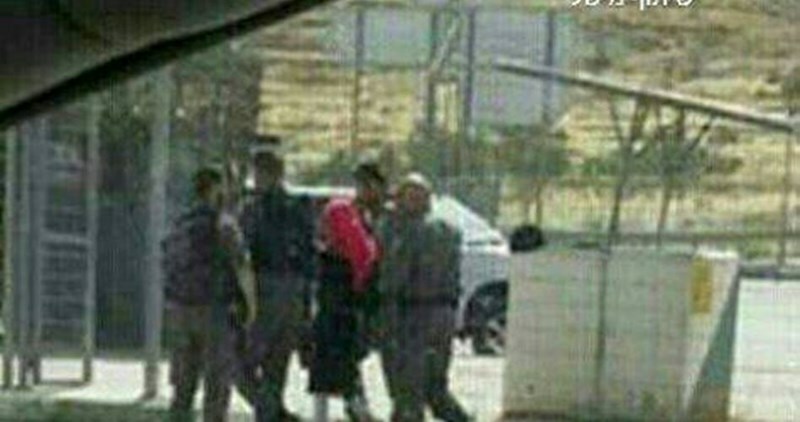 Israeli occupation soldiers arrested a Palestinian young woman for allegedly planning to carry out a stabbing attack near Nablus on Sunday afternoon. The Hebrew website NRG said that the soldiers “succeeded” in aborting a stabbing attempt by the young woman near Za’tara roadblock, south of Nablus. It added that a knife was found in the unidentified young woman’s possession. Israeli forces raided multiple neighborhoods across the occupied West Bank overnight Saturday, detaining at least three Palestinians, launching tear gas canisters and stun grenades, and setting fire to olive trees, as Palestinians around the world commemorated the 68th anniversary of the Nakba. In the northern district of Qalqiliya, dozens of Palestinians suffered from tear gas inhalation, and several trees caught fire when clashes erupted between local youths and Israeli forces in the village of Kafr Qaddum. Coordinator for a popular resistance committee in the village Murad Shtewi said the Israeli army "turned Kafr Qaddum's sky into a cloud of poisonous gas" after firing tear gas heavily and randomly. Dozens of olive trees in the area caught fire from Israeli forces-fired tear gas and stun grenades. Shtewi added that civil defense vehicles were prevented from reaching the fire because Israeli forces had closed the roads with dirt berms, forcing firefighters to walk up a hill to control the fire. To the south in the occupied West Bank district of Hebron, Israeli forces raided the downtown, al-Khila, and al-Thahir areas of the village of Beit Ummar, detaining one Palestinian. Local activist Muhammad Ayyad Awad said Israeli forces raided the house of Ibrahim Abd-al-Hamid Abu Maria, and detained his son Abd Nasir, 19. In the southern district of Bethlehem, abnormally excessive use of force by Israeli forces was reported during an overnight raid in al-Azza refugee camp. Locals reported a night of chaos marked by at least three explosions and two sets of exchange of fire while Israeli forces showered the camp with tear gas. An Israeli army spokesperson told Ma’an Israeli forces detained two Palestinians near Bethlehem and one next to Ramallah in the occupied West Bank overnight. She added she was looking into the reports of clashes in al-Azza and Kafr Qaddum. Saturday night’s raids come as Palestinians around the world commemorated the 68th anniversary of the beginning of the Nakba, or catastrophe, when 750,000 Palestinians were forcibly displaced during the creation of the state of Israel. Many perceive the 1948 atrocities -- marked by the destruction of 531 Palestinian towns and villages as well as 33 massacres by Israel -- as just the beginning of a Nakba that has continued unabated to this day. Israel’s systematic dispossession and forced displacement of the Palestinian people entered a new era in 1967 when Israel illegally occupied the West Bank and East Jerusalem, creating another 430,000 Palestinian refugees, according to the PLO. The decades-long occupation of the Palestinian territory is marked by near-nightly raids by Israeli forces into Palestinian-controlled areas of the West Bank, with more than 90 search and arrest operations conducted per week since the start of the year, according to UN documentation. Palestinian prisoners have complained of unbearable weather conditions inside Negev jail as heatwaves started to hit the region. According to the Palestinian Prisoner Center for Studies on Saturday, the prisoners affirmed that their suffering doubled after the temperatures soared inside the jail, which is located in a desert area. Spokesman for the center Riyadh al-Ashqar, for his part, warned that the rising heat inside the jail would affect the health of the prisoners and lead them to suffer blackouts, pointing to the absence of appropriate medical care in the prison. In another context, the center said that there are still about 7,000 prisoners, including elderly people and children under age 18, in Israeli jails. There are also 1,700 prisoners suffering from different health problems, mostly caused by the harsh incarceration conditions, malnutrition and maltreatment, according to the center. Israeli soldiers invaded, on Sunday at dawn, Abu Dis town, southeast of occupied Jerusalem, searched a home and a clinic, before kidnapping an elderly Palestinian man whose son was taken prisoner a few days ago. The Palestinian News & Info Agency (WAFA) said the soldiers kidnapped Mahmoud Daoud Ayyad, after invading his home, and violently searching it. The soldiers also searched the dental clinic of Samer Ayyad, the son of Mahmoud, who was kidnapped by the army several days ago. Eyewitnesses said the invasion led to clashes between the soldiers, and local youths, who hurled stones and empty bottles on the invading forces, while the army fired several gas bombs and concussion grenades. In related news, the soldiers continued the siege on Hizma town, northeast of Jerusalem, for the fifth consecutive day, after closing all of its entrances with concrete blocks. The soldiers also continued the violent invasions and searches of homes throughout the town, in addition to collecting names and ID cards numbers of dozens of residents. The army said it initiated its campaign after three of its soldiers were injured near the town. 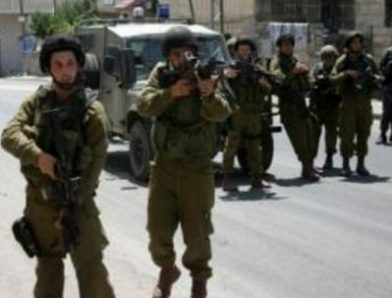 Israeli soldiers have kidnapped, On Sunday at dawn, two Palestinians from the in the southern West Bank district of Hebron, and violently searched several homes, the Palestinian Prisoners Society (PPS) has reported. 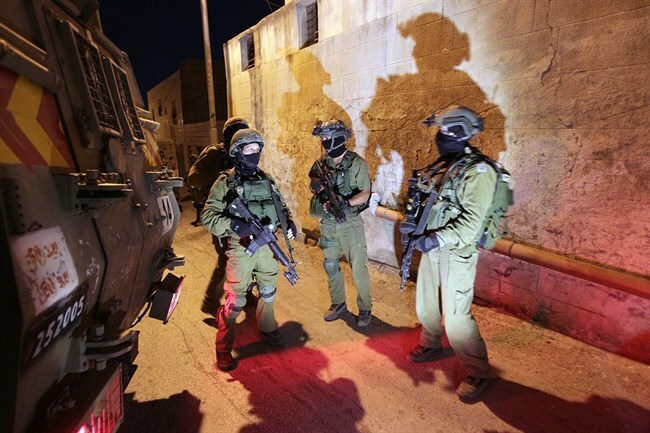 The soldiers also kidnapped two Palestinians, from Bethlehem, on Saturday at night. The PPS said several army vehicles invaded Beit Ummar town, north of Hebron, before the soldiers searched and ransacked a number of homes, and interrogated many Palestinians. 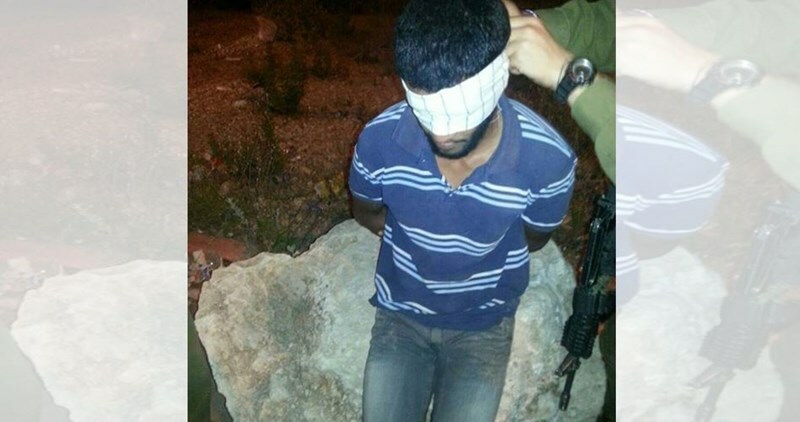 The soldiers then kidnapped one Palestinian, identified as Abdul-Nasser Abdul-Hamid Abu Mariya, 19. It also said that the soldiers invaded and violently searched many homes in the center of the town, and the ath-Thaher area, close to the illegal Karmie Tzur colony, built on private Palestinian lands. Another Palestinian, identified as Mousa Suleiman E’mar, from Hebron city, was kidnaped after the soldiers stopped him at a military roadblock, near Bethlehem. Late on Saturday at night, the soldiers kidnapped two young Palestinian men, after stopping them at a sudden military roadblock, near the western entrance of Beit Jala city, in the district of Bethlehem. The two have been identified as Mohammad Maher Masalma, 23, and Hamza Mahmoud Masalma, 20. 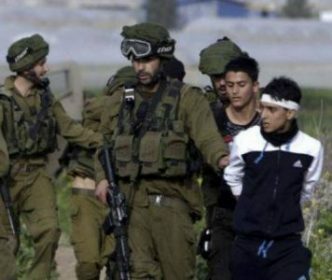 The Israeli occupation forces (IOF) on Saturday evening arrested two Palestinian citizens as they were trying to infiltrate from the Gaza Strip into the 1948 occupied territory. 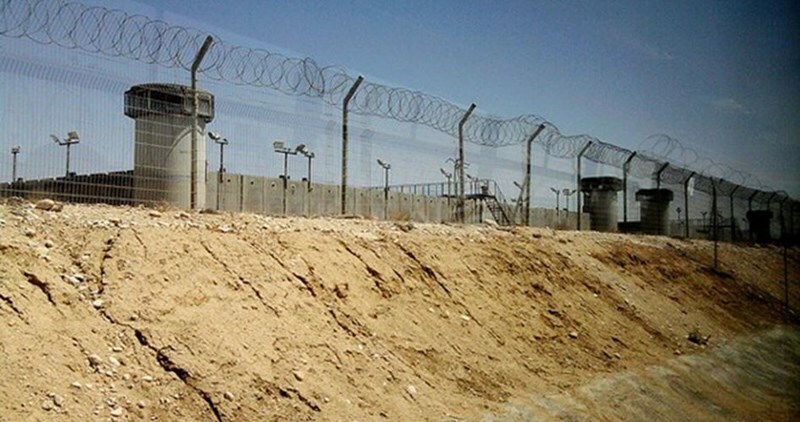 Local sources told Quds Press that Israeli troops moved from a border post east of al-Bureij refugee camp and rounded up two Palestinians near the security fence. They added that the soldiers forced the two men to take off their clothes at gunpoint before taking them to an undeclared place inside the 1948 occupied territories. Later, Hebrew media outlets reported that two young men were arrested in the area and taken to a Shin Bet interrogation center. In another incident, the Israeli occupation navy kidnapped on the same day two fishermen off the northern coast of Gaza before releasing them. Chief of the fishermen syndicate Nizar Ayyash told the Palestinian Information Center (PIC) that Israeli gunboats chased two brothers on a small rowboat and opened fire near them. Ayyash added that the navy troops confiscated the fishing boat and detained the brothers for a while before releasing them. The fishermen, identified as Karim and Kayed Kallab, were working within the permitted fishing zone, he noted. Shortly after news of his detention, the man’s family identified him as Muhammad Mustafa al-Najjar, 30, a police officer from al-Azza refugee camp in the southern occupied West Bank district of Bethlehem. His family told Ma’an that al-Najjar was returning from his job as a police officer in the central West Bank district of Ramallah, and that they were “shocked” when they heard the news about his detention. They added that al-Najjar had started his job just one week ago. When he arrived at the checkpoint in a taxi, Israeli police detained him, al-Samri said, adding that the suspect was carrying an Israeli police uniform. He was later transferred for interrogation. “The (Israeli) police are inspecting the suspect's intentions of using the police uniform as it is suspected that he planned to use it in the terrorist attack he planned,” al-Samri added. However, according to Ashraf al-Najjar, Muhammad's brother, Muhammad was carrying a Palestinian police uniform and not an Israeli police uniform. Ashraf told Ma’an that he "doubts" the Israeli police's story regarding his brother's detention. He added that his brother has been preparing for his wedding that is planned to take place next month and does not take part in any organized activity beside his job as a Palestinian police officer. Al-Najjar is a former prisoner and was released from Israeli custody about a year ago after completing a 10-year sentence, his family added. Some 40 percent of the male Palestinian population has spent time in Israeli custody, according to Palestinian prisoners’ rights group Addameer. There are approximately 7,000 Palestinians currently being held in Israeli prisons. Israeli soldiers kidnapped, Saturday, two Palestinians in the southern West Bank city of Hebron, and in the Al-Aqsa Mosque, in occupied Jerusalem. Many Palestinians were injured in the Schools Street, in Jerusalem. Media sources in Hebron said the soldiers have kidnapped a young man, identified as Islam Ayman Tamimi, 21, near the Ibrahim Mosque, in Hebron’s Old City. Tamimi’s family said the soldiers detained many young men near the mosque, before kidnapping Islam, and took him to an unknown destination. In addition, the soldiers invaded the Schools Street, in Jabal al-Mokabber neighborhood, southeast of Jerusalem, and closed it, causing a huge traffic jam. The soldiers then fired many concussion grenades and gas bombs at students, trying to reach their schools, causing dozens of them to suffer the effects of tear gas inhalation. Many youngsters also hurled stones at army vehicles. In addition, the soldiers kidnapped a young Palestinian man from the Al-Aqsa Sharia School, inside the Al-Aqsa Mosque, in occupied Jerusalem. A mosque guard said the soldiers cuffed and blindfolded the kidnapped young man, and took him to an interrogation center in the city. His name remained unknown until the time of this report. 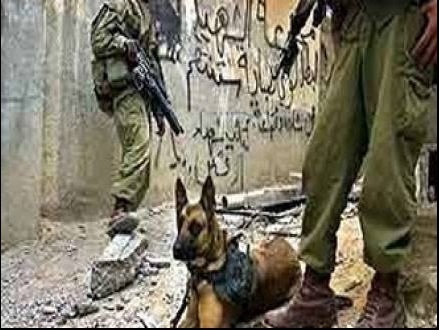 Using police dogs, Israeli forces brutally attacked the Palestinian prisoner Mohamed al-Azza, from Bethlehem, during his arrest. The dogs mauled the detainee, bite and cut his right hand artery causing him severe bleeding. After his visit to Maskoubiya detention center, lawyer of the Palestinian Prisoners Society (PPS) quoted the detainee al-Azza as saying that he was violently pulled by the dogs before being severely beaten by Israeli soldiers, causing him severe injuries all over his body. He was then taken to Hadassah Ein Karem Hospital for treatment for nearly a week to be then moved to Maskoubiya detention center. Al-Azza is still unable to move his right hand fingers, the lawyer pointed out. Al-Azza was arrested along with his brother in April 2016 and prevented to meet his lawyer for 21 days. Lawyers of Palestinian Prisoner Society said that two sick Palestinian captives in Israeli jails: Fadi al-Nemnem in Nafha prison and Nidal Umer in Eshel jail, are suffering from serious health conditions due to the Israeli Prison Service’s (IPS) procrastination in offering them treatment. The Gazan detainee Nemnem, who has been arrested since 2011, has been suffering from severe pain in the spine, back and joints for three years. He complained about changing his medication because of its expensive cost which led to health complications. 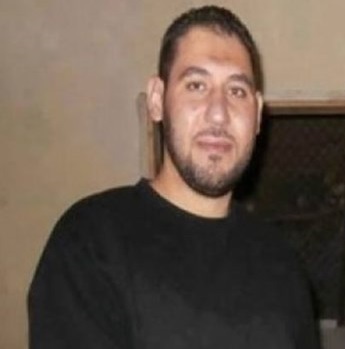 As for captive Umer, from Qalqilya, he has diabetes and blood pressure in addition to swelling in his foot due to an injury after his arrest in 2013. The IPS does not show commitment in supplying him with medication. Israeli soldiers kidnapped, on Thursday evening, two young Palestinian men, during a provocative procession by colonialist Israeli settlers in Bab al-‘Amoud area, in the center of occupied East Jerusalem. The Palestinian News & Info Agency (WAFA) said the soldiers attacked the two Palestinians, and took them to an interrogation center in the city. It added that dozens of fanatic Israeli settlers marched in Bab al-‘Amoud (Damascus Gate) area, while chanting racist slogans, including “death to Arabs,” an issue that led to clashes with many young Palestinians. 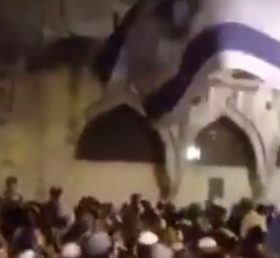 On Wednesday evening, the soldiers attacked the funeral ceremony of an elderly Palestinian woman, east of the Al-Aqsa Mosque, in occupied Jerusalem, as the mourners were heading towards the graveyard in Silwan town.